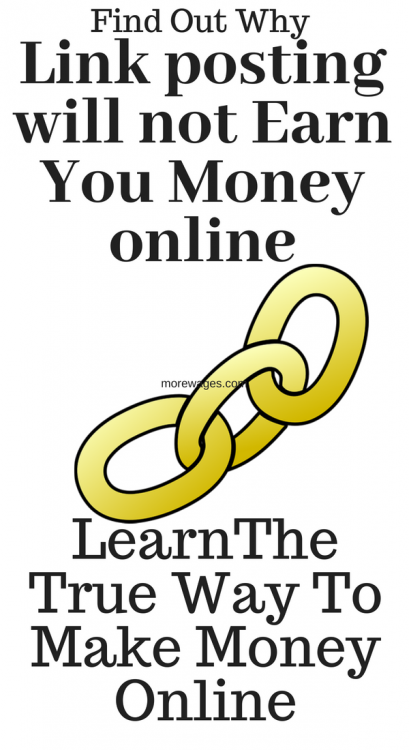 Can you make money posting links online and how does it really work? Getting paid to post links is one of the most sought-after methods to make money online. The claim is that there is no need to own a website, no need of products, and no real work or experience is needed but can you really make money posting links online or what kind of money are we talking about here? Simply, copy and paste the text given to you with a link to the public forums, various blogs, and also make money posting links on Facebook, Twitter, YouTube, Google Plus, and other such social media channels. In this article, we will discuss why companies that will pay you to post links only exist to scam money off people. There is plenty of information online explaining posting or sharing of links to make money on Facebook, Instagram or Youtube in a different way on various websites and blogs. Some are honest while some market it with false promises. Check out how WordPress explain links here. Often, it is described as an easy and fastest way to make a lot of money with little to no effort needed. The idea does have its merit because who doesn’t want to earn money on supporting the family while spending most of the time with their loved ones. An easy life with a lot of money is very tempting. But is it possible that easily? The description may be slightly different depending on the website you are exploring. The description given is very vague. Most of the time it explains how amazing this job is, how much money one can make and hardly any detail on what exactly the job is. The job description usually contains the task of spamming the social media channels, the Craigslist, the public forums, emails and other such online platforms with links and text provided by the website. These links are affiliate links which when clicked and made a purchase gives you a small commission. But the job usually scams people. In this article, we will discuss why getting paid for posting links on websites only exist to scam money off people and are a complete waste of time. With the advanced technology nowadays, the spam links can be detected and removed easily and quickly. This means your efforts were in vain. Detecting the spammer and finding his/ her social media channels and other online places like email used in spamming will be blocked/banned because it is spam. Not worth getting banned for in my opinion. Getting banned due to spamming can damage your chance of building an online business and clientele. You can hardly make any money through such jobs as quickly as the links get removed. Any job wanting you to pay a signup fee is a scam. You never pay for any job. This spamming activity will give a bad reputation to your online channels. It is a waste of time, money and effort as it is not a long-term money-making strategy. This is because the backlinks don’t really work anymore. Smart business owners don’t pay any heed to them anymore which means that link posting is a dying industry. You can’t make money fast with this job. You get paid for each link that stays active. Since many of the links you posted are deleted as soon as they are detected, your chances of having active link get reduced. There is 30 to 60 days wait period for being paid the due commissions. Many of these link posting websites have a minimum payment threshold which you need to meet if you want to be paid. Some of the programs that explain link posting idea and that should be avoided are Online Home Careers University, 37 Clicks, Home Job Source, Extreme Home Profits, Cash from Home, Online Home Careers University, Internet Cash Income, and Home Internet Cash. Unfortunately, these ‘votes’ (actually called backlinks) don’t really work that well anymore. Some people who are behind the times or missed the memo still talk about the advantages of backlinks, but really, the smart business owners don’t pay attention to backlinks anymore. Google spends billions on research each year in order to prevent people from benefiting from unnatural linking practices. They have pretty much figured out that paid links do not actually mean a site is good an should rank well. They are changing their search engine to reflect this. Now, using paid links can actually hurt your business! Now, smart companies are not buying links because they know it might hurt them in the long run. Some individuals still do it, but they are typically not very savvy business owners, and trying to ‘trick’ Google into liking their website. Now your sports website linked to a cosmetics website for a backlink looks spammy and out of place for Google and it can only hurt your site. Are there any legit platforms to Find Link Posting Jobs? Honestly speaking, there were jobs in the past when the internet was new and not as much regulation in place But now, even smaller platforms have strict rules and anti-spam policy in place. But the good news is; you can still earn money online selling affiliate products. This is a more stable earning online, long-term and you earn affiliate commission check here how to start affiliate marketing for beginners if you missed it. As said, the list is long as these scam sites never stick around long enough. 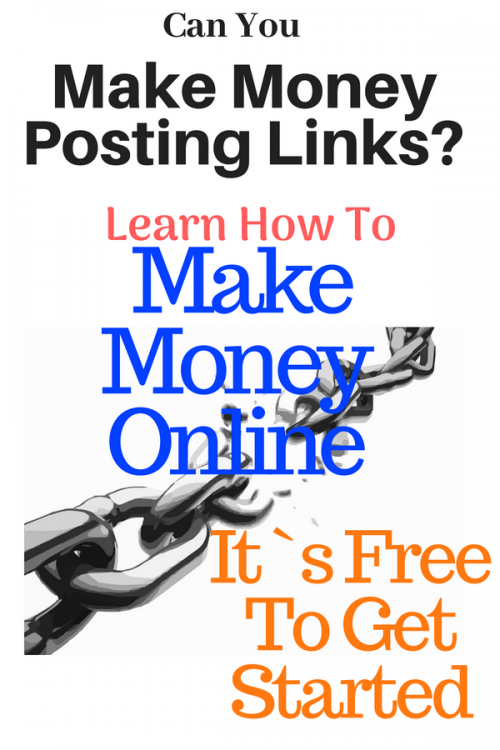 The link posting idea is not a suitable method to make money online. It is not going to work the way many of the companies or websites describe this job. If you are going to post links in places such as Instagram, Youtube, Facebook, Twitter or other online places, then most of those posted links are going to get deleted shortly after you post them. They get reported and removed quickly. Moreover, if you continue posting the link in spite of that, your online social media accounts will get blocked one by one. Getting blocked isn’t going to do any favors to your online reputation which can be damaging to any future online business endeavor of yours. Building websites and selling products/services from the blog is the best way to make money online. . You can pick any niche you want share posts on that niche. Then you sell stuff from big companies like Amazon, or Shareasale. It’s how a lot of people make real make money online, enough to leave your daily job and work online full time. 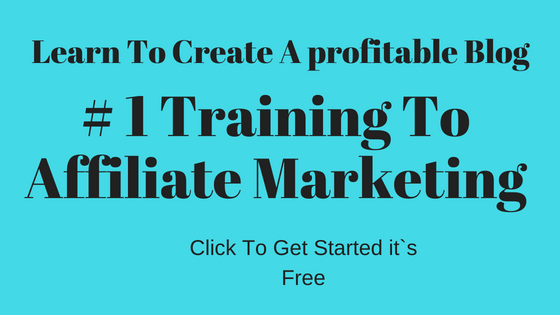 If you are willing to put in some time to train properly, you could create a real website in less than 30 minutes and a legitimate, profitable online business in just a few months. To conclude this post, I hope you`ll understand that there is nothing like posting a few links a day and hope to make it your full-time income, it`s not going to happen any time soon. But if you`re interested in making a full-time income online, then check this program that I highly recommend, spam free, helpful members all looking out for you to help you succeed online. Stop wasting time on scams and start building a real online business today! Affiliate marketing is not really something I take part in. Only with Amazon because it’s easy! Otherwise I find other ways to make money on line. glad you found what works for you, Affiliate marketing with other programs to me is no different than with Amazon, maybe more commission and even longer cookie period but I still love Amazon, it was the first affiliate program I joined.